Thank you for joining us on the 4th Simply Sketched Saturday Challenge. This week the Sketch was created by the lovely Ania………and what a great sketch, it gave me a chance to play with new product!! Here is the Sketch for this week. So anyway did i mention new product! Yes the new Spring/Summer catalogue comes out on the 05 Jan 2016 but as a demonstrator that was able to go to the Stampin Up convention in Brussels this year I was given the privilege not only to see the new products but get to play with them too!! Not only that i was given the opportunity to pre-order and purchase some items to. I have been dying to share these!! So here is a sneak peak for you. The products I have used are from the ‘It’s My Party’ Suite in the catalogue. 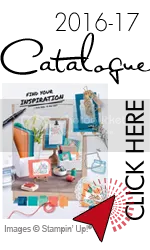 There is no need to search for matching items, Stampin up do it for you. Yay. The colour combination that i have chosen you can buy in a pack. Melon Mambo, Crushed Curry and Mint Macaron. The stamp set is called Party Wishes and can be bought in a bundle with 3 of the cutest itty bitty punches that i have seen. The punches are a cake, a balloon and a candle and the best bit about them is there is no white gap around the edge. Stampin Up have made the punches ever so slightly smaller than the image so that you don’t get that white shadow (which i just love and it makes me a happy girl). The sentiment makes me smile, well hey I am a girl and I Love CAKE. Did you notice the new Bakers Twine, I have tripled it up to make a more dimensional bow. Oh did mention, the Bakers Twine comes in a two pack the other colour being Melon Mambo and Black. I had such fun making this card and was delighted to play with all the new goodies that I have. As you can tell all the products that I have mentioned are all Stampin Up and will be available from the 5 Jan 2016. Lucky you to get to Brussels and too see all the new goodies in the flesh. I am liking what you have made with your sketch and just love those delicious colours. Great card, and a wonderful sneaky peak! I’m still on the fence about this suite, but you have started to persuade me! Thanks Hannah . Get off the fence and get it in your basket……you know you want too. lol ! !